(2018-10-23) How Do You Know Your ADFS Server Is Lacking Permissions On Its Certificates? « Jorge's Quest For Knowledge! 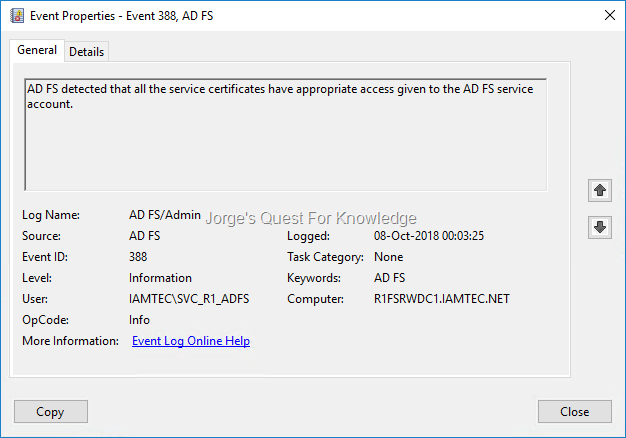 (2018-10-23) How Do You Know Your ADFS Server Is Lacking Permissions On Its Certificates? AD FS detected that all the service certificates have appropriate access given to the AD FS service account. 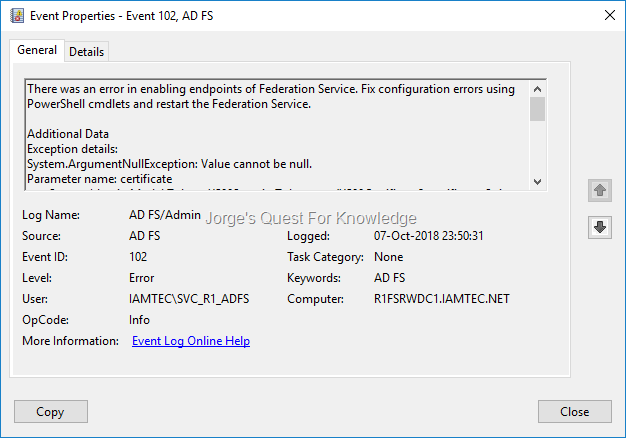 This entry was posted on 2018-10-23 at 23:00	and is filed under Active Directory Federation Services (ADFS), Certificates. You can follow any responses to this entry through the RSS 2.0 feed. You can leave a response, or trackback from your own site.